Today is the day you spoil your mum, or if you are like me without a mum to spoil, spoil yourself in her memory. What better way to show your love and appreciation than by baking with love for love. These cakes are perfect for this. Make them pretty and serve with a dollop of love, on a beautiful plate. 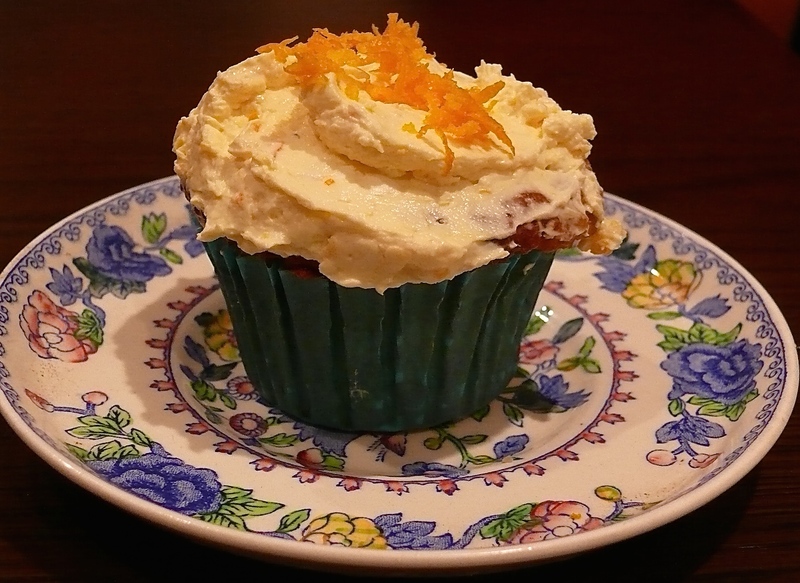 The inspiration for these tasty cupcakes came to me through the recipes of two wonderful food creators. And to be completely honest, the desire to make some cake! In the late 90’s New Zealand had a little cooking show called “Food in a Minute”. Fronted by Allyson Gofton, the programme rolled out every weeknight with quick family recipes. 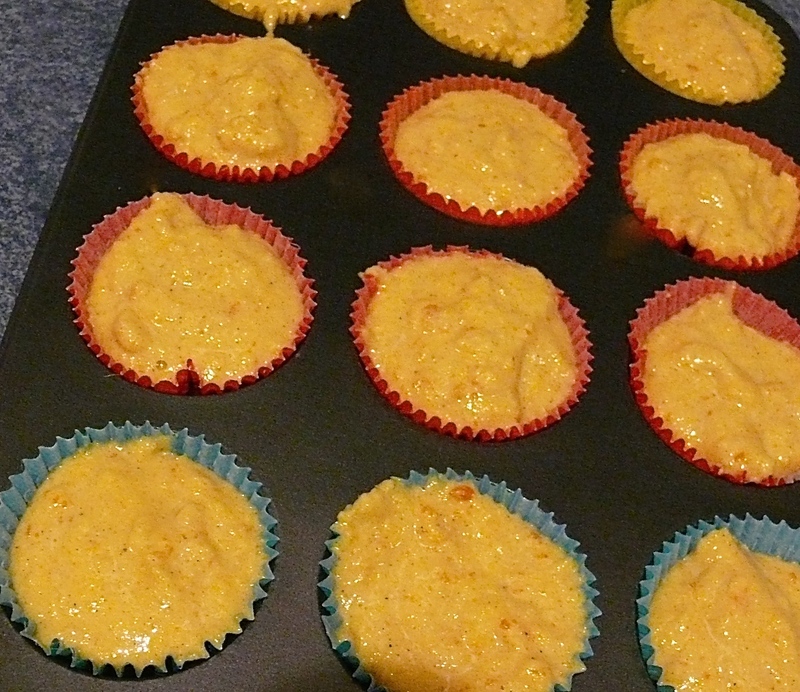 I fell in love with her Peach and Yoghurt Muffins. They were very moreish, which is not surprising, with a full of carb overload of 3 cups of flour and nearly a cup of white sugar. However, quietly tucked into the recipe was an amazing spice – Cardamom. What a flavour burst this gave these muffins. Cardamon is a very ancient spice with a number of reported health benefits, but to be perfectly frank, I just love its taste when combined with oranges and almond meal. There are quite a few primal/paleo, gluten-free and grain-free recipes using boiled oranges and I particularly like the recipe from My Petite Kitchen. I discovered Eleanor Ozich through a friend who had one of her salads for lunch. I loved her blog and quickly bought her cookbook. Her food and food photography is stunning. So this is where the other half of the inspiration these cupcakes has come from. A word on sweeteners. This recipe is refined sugar free and with all my recipes I pump for the lowest quantity of sweetener I can get away with. This only has 2 tsbps of maple syrup, but it also has the fruit sugar in the oranges so I find them sweet enough. But enough already let’s get baking! Throw everything else in and give another blitz. Done! Now spoon into muffin cases. • Place 2 oranges in a pot of water, bring to the boil and simmer for 1 hour, remove from water and cool. • Preheat oven to 160C/320F. • Line a 12 cup muffin pan with paper cases or grease/oil each muffin hole. 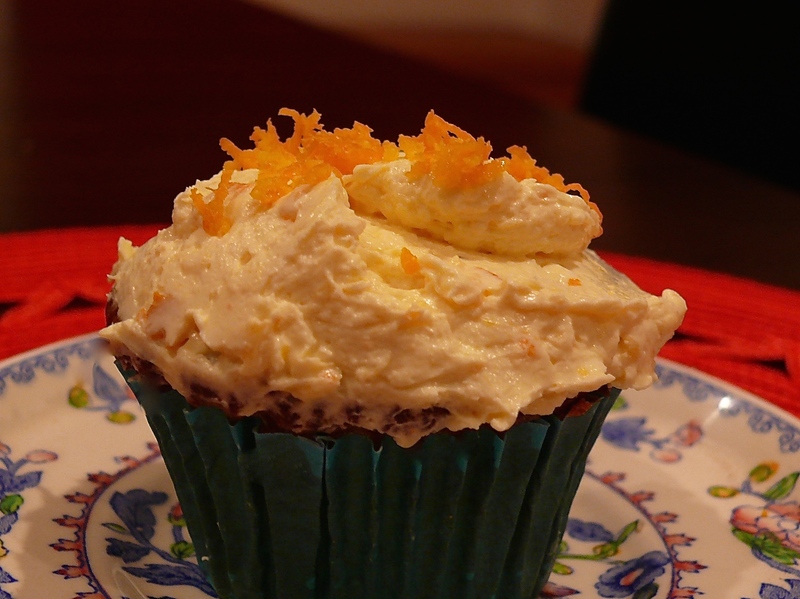 • Cut oranges into quarters and reserve one quarter for the Cream Cheese Frosting. 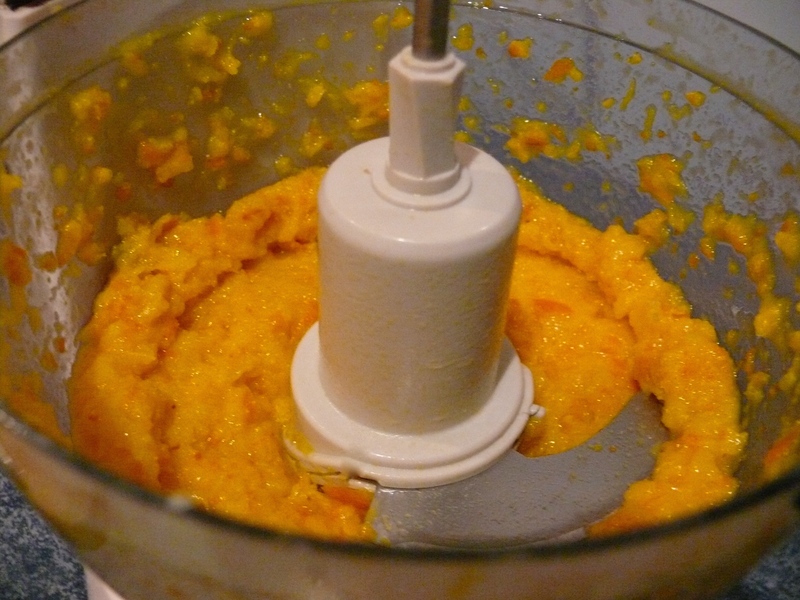 • Put oranges into a food processor and blitz until smooth. 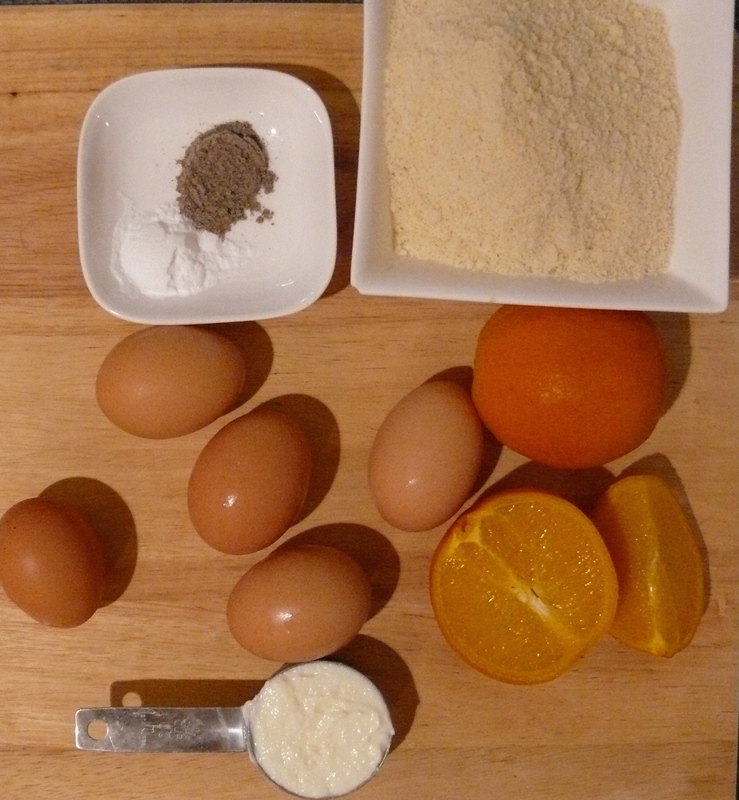 • Add all the other ingredients to the orange mix and process until well combined. • Spoon into each muffin case. • Bake for 25 to 30 mins or until a fork comes out clean. • Cool in the pan for 10 minute and then take each cake out carefully and continue to cool on a wire rack. • When cold ice with Cream Cheese Frosting. • Store in an air tight container in the fridge for up to 5 days – if they last that long! 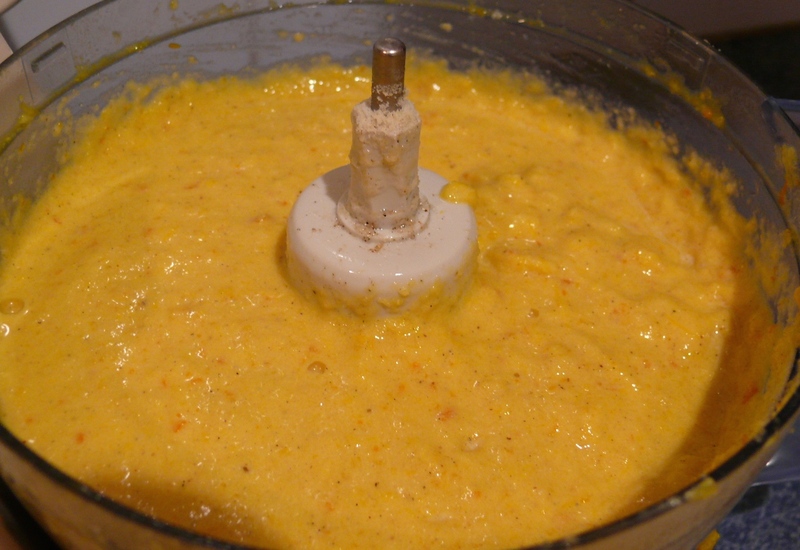 • Add the rest of the ingredients and whizz until well l combined. • Spread spoonful’s onto each cupcake. • Decorate with more orange zest.